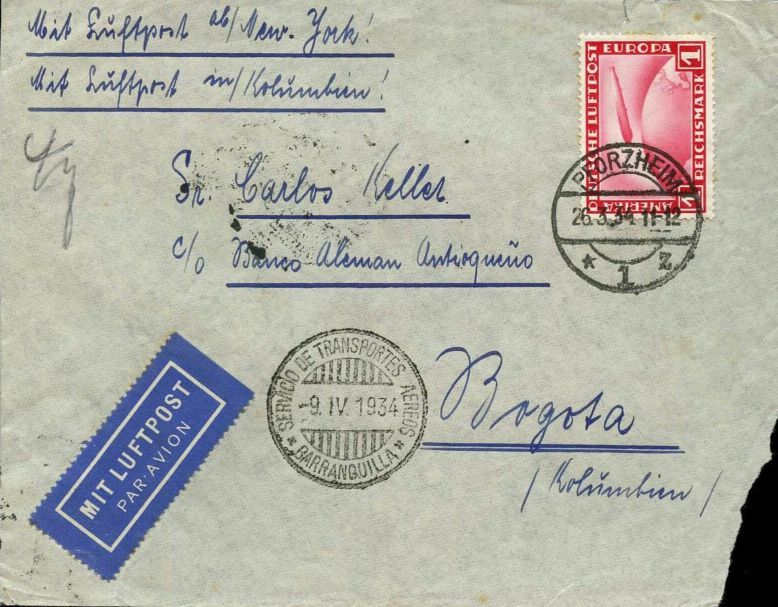 This cover was sent by airmail from Pforzheim to Bogota, Colombia in 1934. 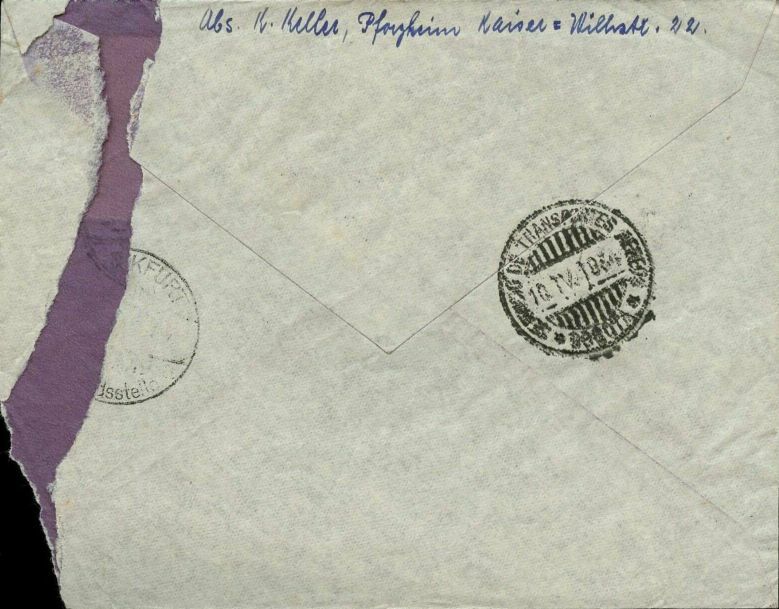 Franked with 1 Reichmark, neatly postmarked 26 Mar 1934 with the Pforzheim canceller. Frankfurt transit cancel on reverse, Barranquilla Airmail 9 Apr 1934 cancel on front. Backstamped with Bogota Airmail 10 Apr 1934 arrival cancel. You are in ... Colombia. If you have any questions, corrections or additions to this page, please drop me a line at .